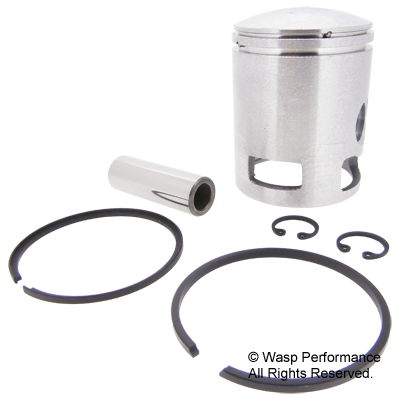 Genuine Piaggio 52.5mm grade F piston kit. Standard size genuine Piaggio pistons for Vespa P125X and PX125E are graded E to G. H grade is no longer available. 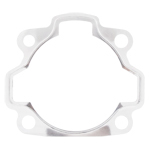 The grade is stamped on the cylinder to cylinder head gasket face. This piston has a dykes (L shaped) top piston ring and a standard rectangular bottom piston ring. Earlier versions of the piston fitted to the P125X (1977-1982) had 2 rectangular piston rings which are the same as the bottom piston ring. 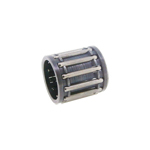 This piston can be used in P125X models.